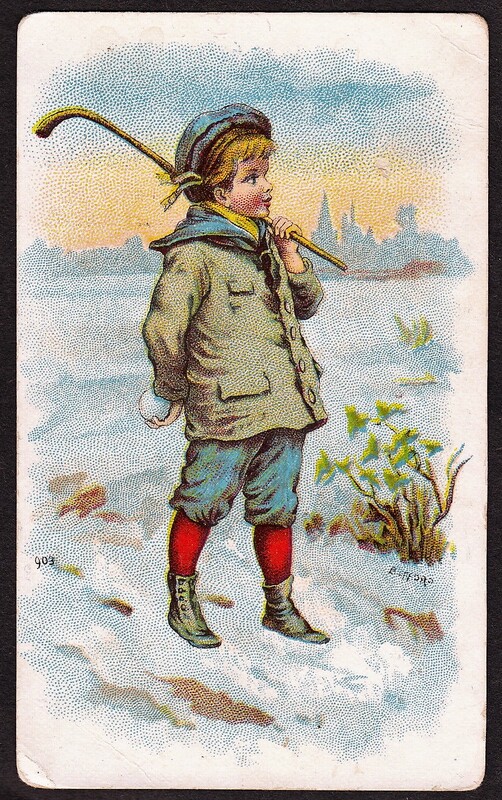 These trade cards featured children participating in a variety of activities. As is the case with many trade cards, they were used by numerous dealers. This card here features a card from the set with the Mack’s Milk Chocolate name. However, the cards were issued by other vendors as well. The fronts included a color picture of children along with various print or stamps. Some backs also provide an advertisement, too, sometimes even offering insight how they were distributed. For example, C.M. Cummings, a shoe distributor, also used these cards. The backs of those cards indicated a complete set of them would be given to anyone buying a pair of boots or shoes. 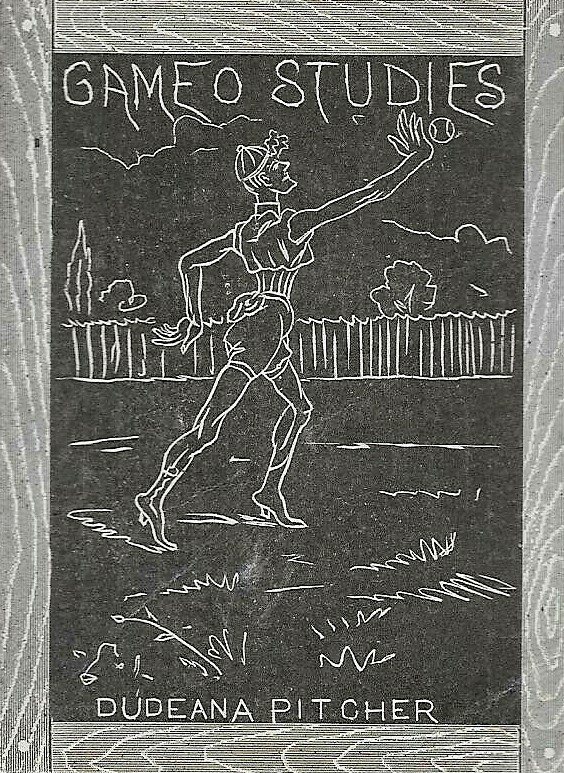 Most cards feature non-sports pictures but one includes a tennis scene. That, as you would expect, is typically the focal point for collectors. Lithography for the cards was performed by Ketterlinus out of Philadelphia. That company performed lithography for other trade cards as well.